Biscoff Banana Streusel Muffins recipe from The Biscoff Cookie and Spread Cookbook- a surprise twist on a classic flavor! What a fun journey this has been! Writing and publishing a cookbook so dear to my heart (because of my son’s peanut allergy) is full of amazing ups and downs…but many many more UPS! 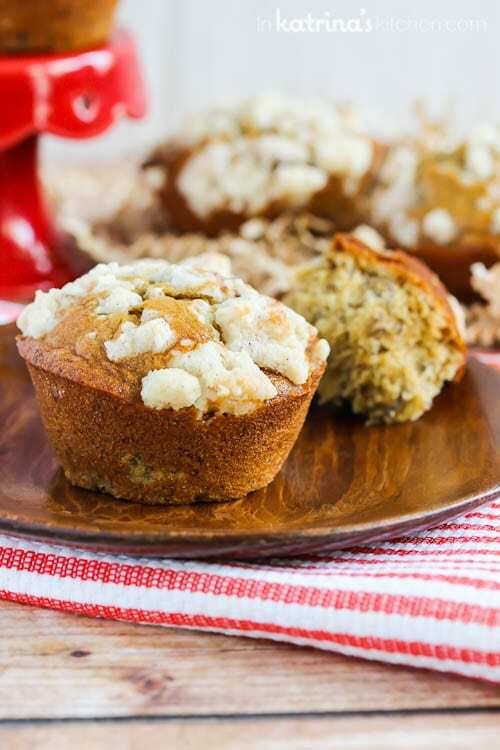 However shortly after the book went to print we realized that 2 steps got left off of these delicious Banana Streusel Muffins! THE HORROR! I’M A FAILURE. WHY DIDN’T I CATCH THIS?! EMBARRASSING! I’ve spent the past year emailing and tweeting people who request the final 2 steps. Okay so all of those things above are true, but then I remembered that I have this awesome online space to share recipes with the world! You’re allowed to laugh at my shortcomings, but only if you make these muffins while you do it. They’re fabulous! Prepare the topping: Melt butter in the bottom of a medium microwave-safe bowl. Add flour, powdered sugar, cinnamon, and salt. Stir with a fork until clumps form. 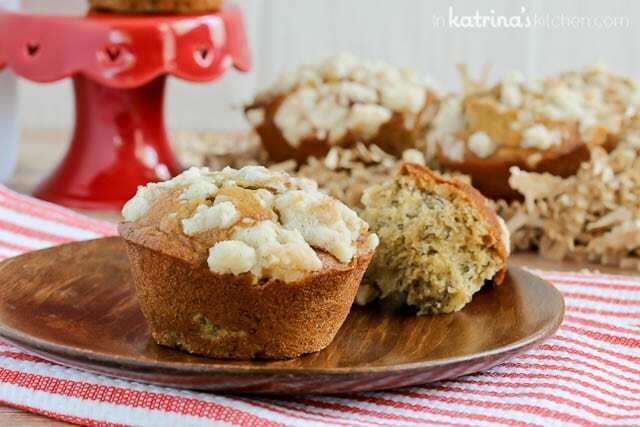 Set aside in the refrigerator while preparing the muffins. Preheat oven to 350° F. Line a muffin tin with paper liners or spray with nonstick cooking spray. In a medium bowl whisk together flour, baking soda, baking powder, and salt. Set aside. In a large bowl using a hand-held mixer or stand mixer fitted with a paddle attachment, whip bananas 3-4 minutes until light and fluffy. Transfer to a separate bowl and set aside. In a large bowl using a hand-held mixer or stand mixer fitted with a paddle attachment, cream butter, Biscoff Spread, and brown sugar 2 minutes until light and fluffy. There is no need to wash the mixer bowl from the previous step. Add eggs one at a time then mix in the banana. Slowly add dry ingredients to the wet and mix until just combined. Spoon batter into paper liners and top with streusel. Bake for 15-18 minutes until a toothpick placed in the center comes out clean. Don’t forget to grab a copy of the book if you haven’t already! Digging the flavor combo girl!